NEWPORT NEWS, Va., May 18, 2017 (GLOBE NEWSWIRE) -- Huntington Ingalls Industries (NYSE:HII) announced today that its Newport News Shipbuilding division has received a “Health Champion” designation from the American Diabetes Association. 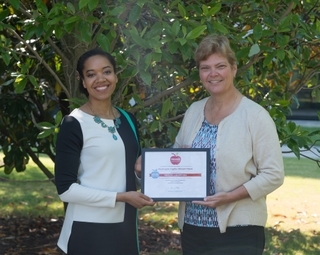 The designation recognizes companies that inspire and encourage organizational well-being and are part of the association’s “Wellness Lives Here” initiative. To become a Health Champion, organizations must meet healthy living criteria in three different areas: nutrition and weight management, physical activity, and organizational well-being. In 2014, HII launched a major benefits and wellness initiative designed to provide its employees with health and wellness options beyond primary care physician visits. 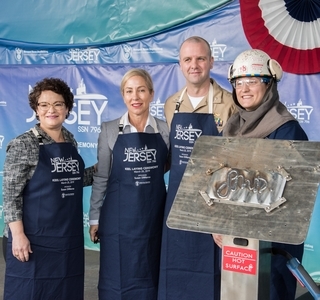 Part of this initiative involved opening HII Family Health Centers at the company’s Newport News and Ingalls Shipbuilding divisions. The Family Health Centers are operated by QuadMed, a third-party vendor, and are available to eligible employees and their dependents. These employees and dependents also have access to Teladoc, a telemedicine program that allows patients to talk to board-certified physicians via telephone, mobile app or computer. Another aspect of the benefits and wellness initiative is HII’s tobacco-free incentive program, which offers discounted health care rates for employees who do not use tobacco. The company also offers an on-site wellness program to its employees that is operated by Interactive Health. The program provides health screenings, healthy living learning opportunities and flu shots, and it facilitates company-wide physical challenges such as the annual NNS 5K Fun Run/Walk. More recently, HII initiated a financial wellness program that assists employees with financial evaluation, planning and budgeting.